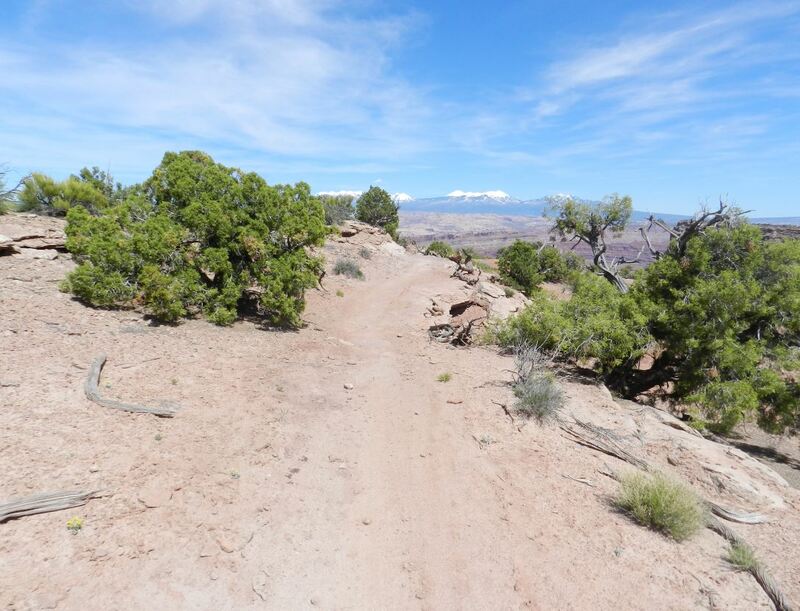 The Intrepid Trail System at Dead Horse Point State Park offers 16.6-miles of non-motorized singletrack trails. 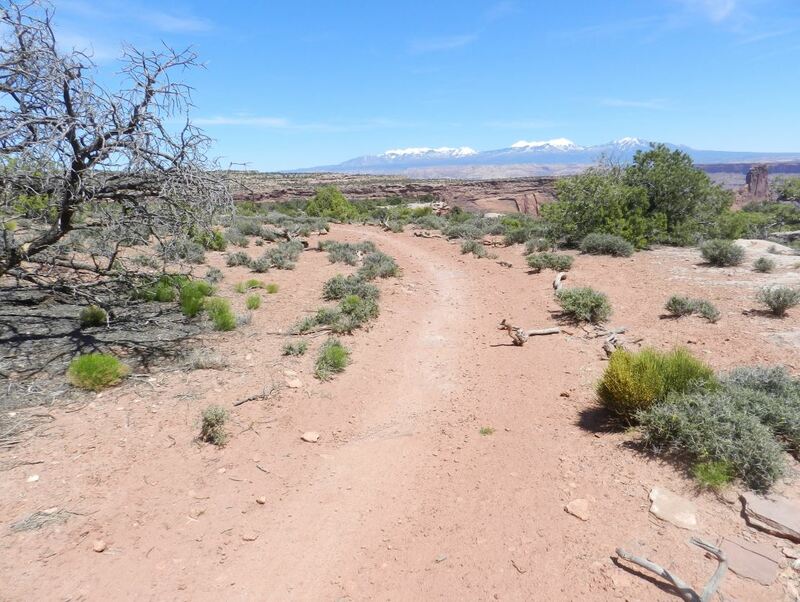 Moab Trail Mix, with a generous donation from Intrepid Potash Inc., completed the system in 2014. 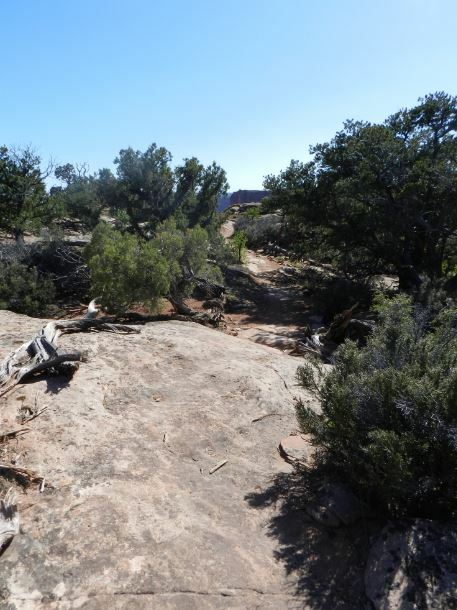 The trails wind through juniper and pinyon trees, over slickrock and mixed terrain and offer spectacular views into the canyons below. 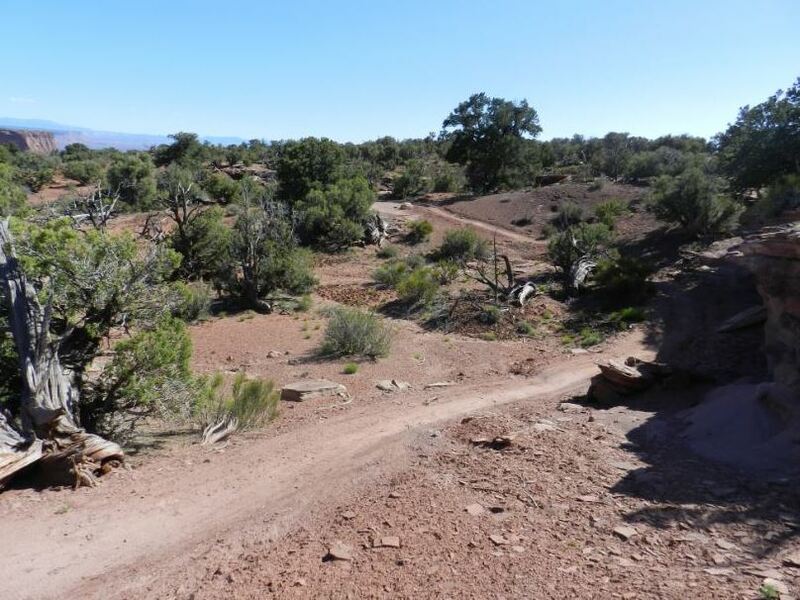 Trail difficulty ranges from moderate to intermediate and can be enjoyed by beginners, families and expert riders. The main trailhead is located in the visitor center parking lot. 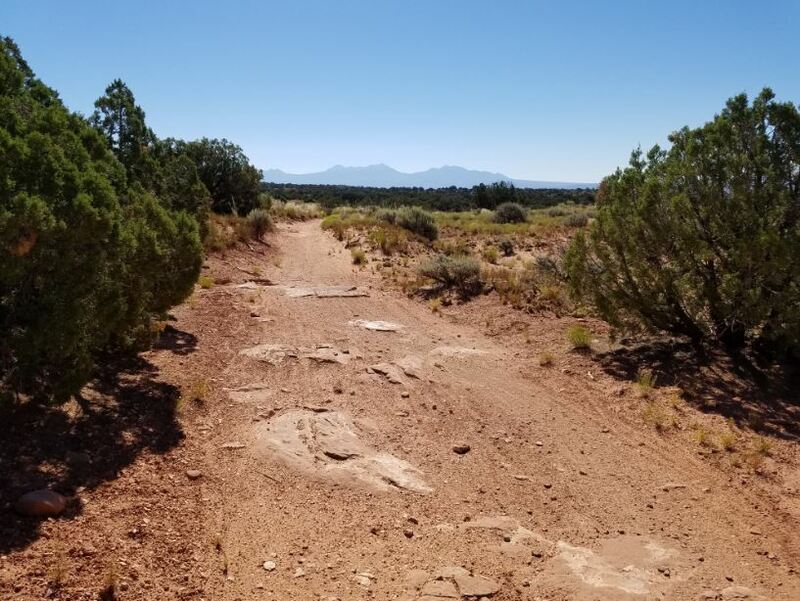 The secondary trailhead and parking area is also accessible by turning towards the Moenkopi Yurts and taking the first road on your right off the dirt road before you get to the yurts. No dogs allowed on this mountain biking trail system. A park day-use entrance fee is required on a per vehicle basis (valid for three consecutive days). Need a bike? 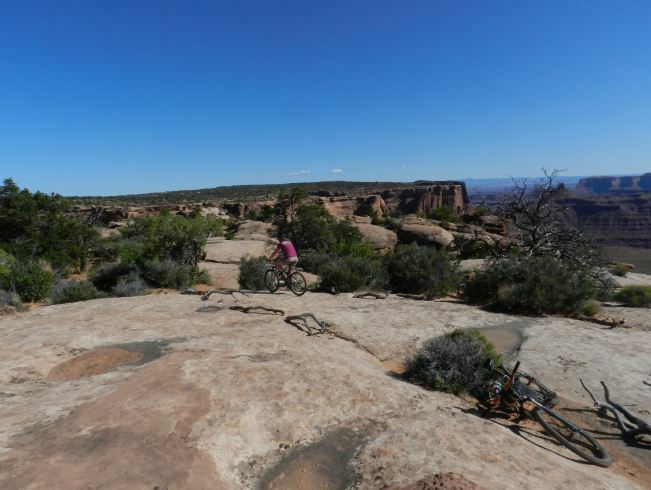 Moab has several mountain bike shops to rent bikes and a bike racks if needed. Note: These descriptions follow a generally counter-clockwise and easy-difficult loop around the Intrepid trail system. 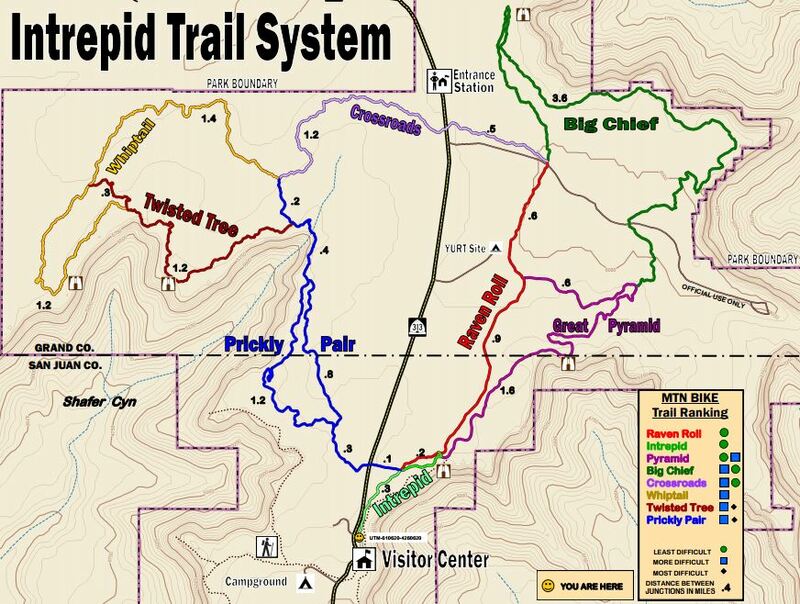 Trail difficulties are relative to the Intrepid Trail network only, and should not be used in comparison with any other system. Maps can be found at trail junctions. All mountain biking adventures start here. Intrepid is a short trail that is excellent for beginners. 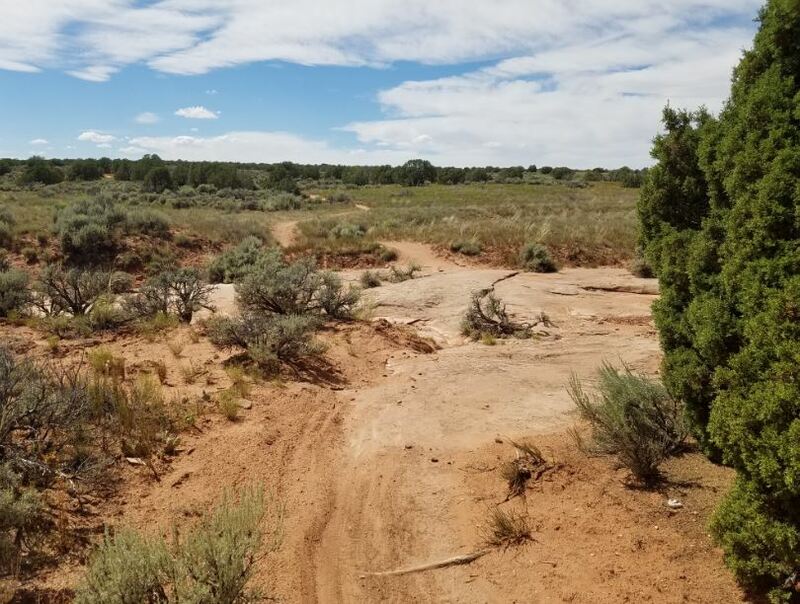 Rocky terrain is present, but there is little elevation change. 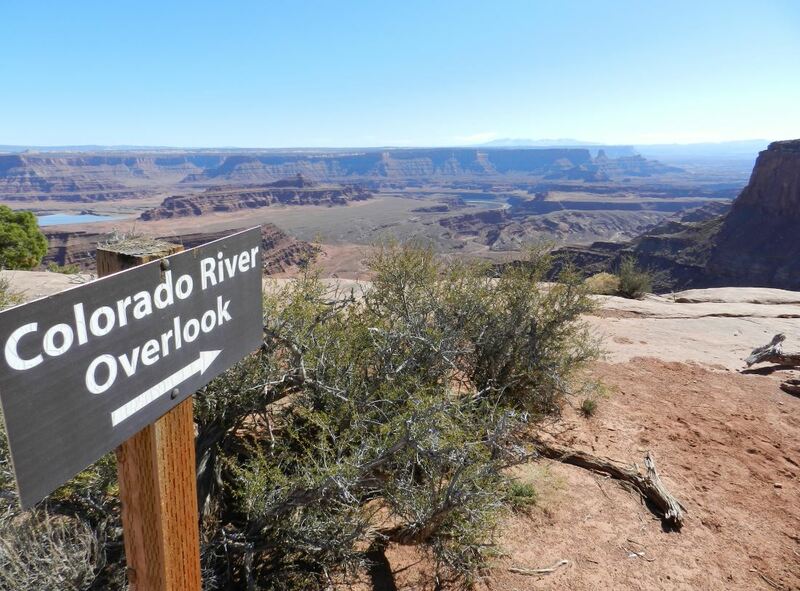 The end of the trail has an excellent view from the Colorado River Overlook. 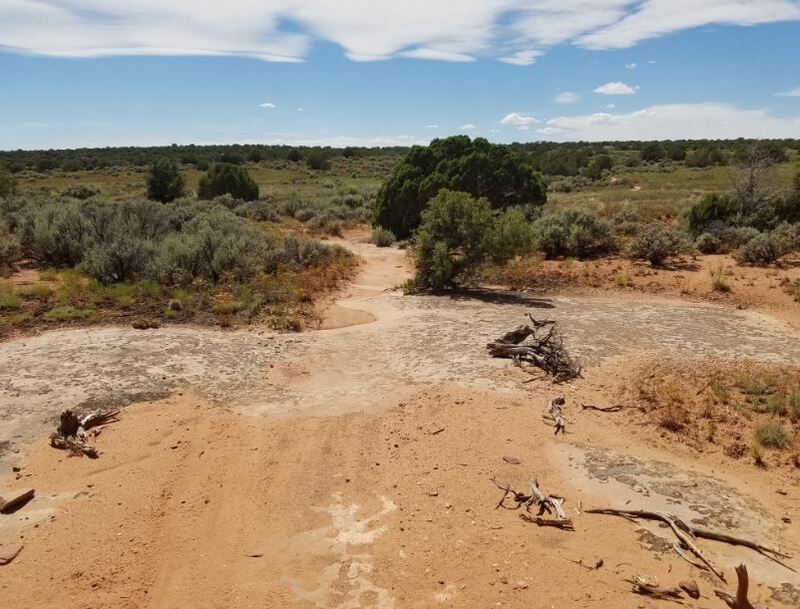 From Intrepid, one may continue on to the Great Pyramid Overlook, turn north onto Raven Roll, or cross the park entrance road and proceed to the more challenging western rim trails. Great Pyramid is a fun, well lined trail. Less than a mile after splitting off from Intrepid, the overlook is reached, giving another sweeping view down toward the Colorado River and toward a formation known as the “Great Pyramid” in the distance. Beyond the overlook, to its intersections with Big Chief and Raven Roll, the trail consists of semi-rocky terrain and varied elevation. Traveling southbound will allow riders to enjoy some downhill slick rock areas. 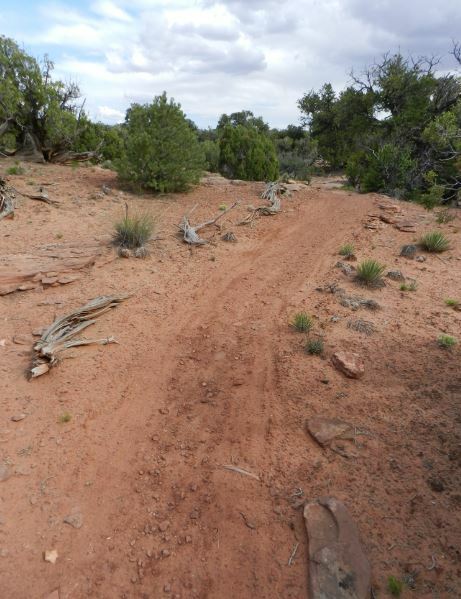 Raven Roll is a fast moving, semi-sandy trail that varies in elevation. It can be taken in either direction, but rides best (fastest) north to south. For those looking for shorter rides along the east rim, Raven Roll provides for an easy 4-mile loop with Great Pyramid, or a more moderately difficult 8-mile loop with Big Chief. Big Chief is a fun trail to ride in either direction. 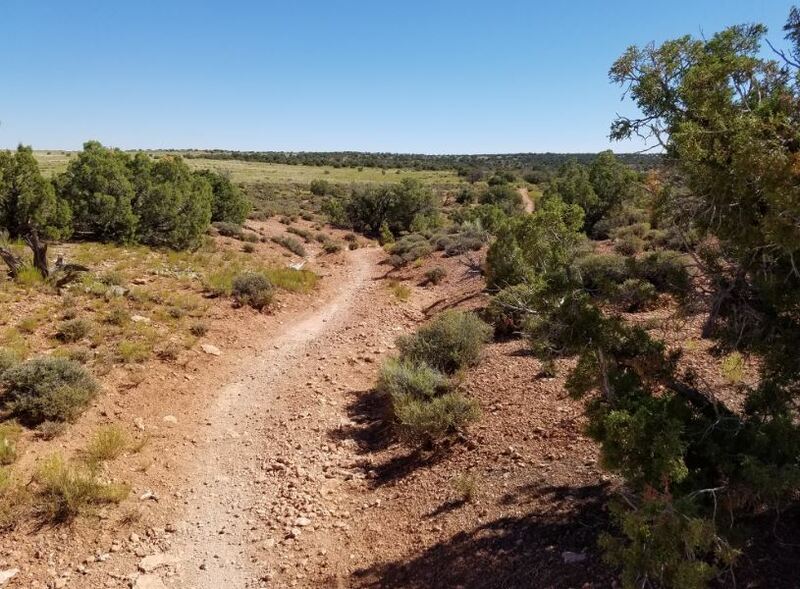 There is plenty of slick rock and elevation change throughout, making this the most challenging trail on the eastern side of the Intrepid system. 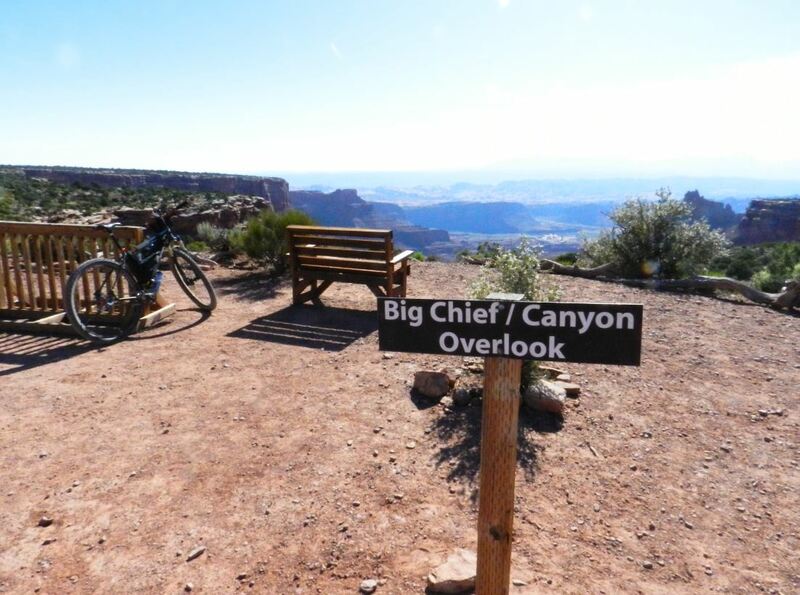 At the northernmost point, riders will come to the “Big Chief Overlook,” which provides a sweeping vista of the canyons and La Sal Mountains to the east – as well as the butte for which the trail and overlook are named. As the name implies, Crossroads connects Big Chief and Raven Roll on the east rim with Whiptail and Prickly Pair on the west. Well packed with a series of short dips and rollers, this is a fun and fast paced trail in its own right. Crossroads is best ridden from west to east, but can be taken in either direction. Please note that riders must dismount when crossing the park entrance road. 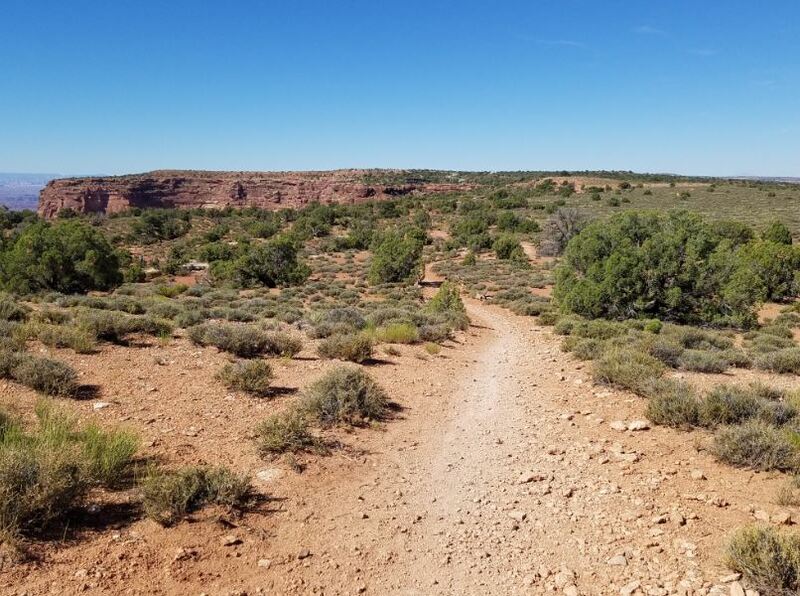 Extending to the park’s western boundary, Whiptail is a fun track that hosts an overlook into Shafer Canyon 1,000 feet below. Dropping in elevation from north to south, the trail is smooth and fast paced. 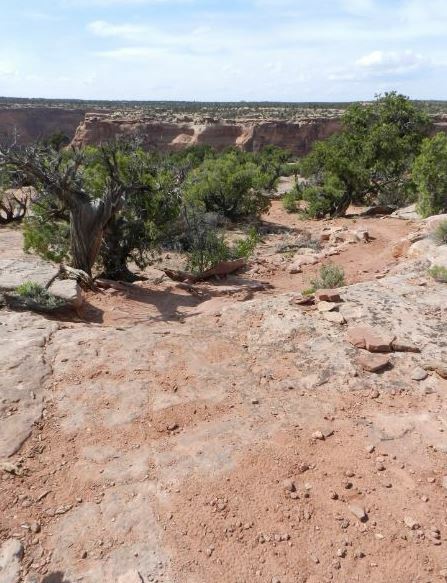 Intersections with cut-off spurs from both Twisted Tree and Prickly Pear allow for a variety of possible loops. 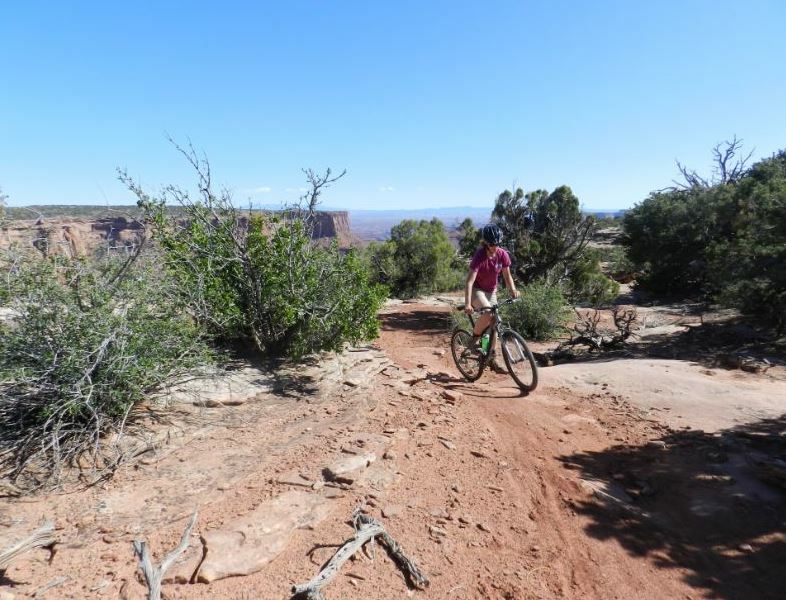 Twisted Tree is a fun, scenic, and mildly technical ride that follows the rim of Shafer Canyon for more than a mile. 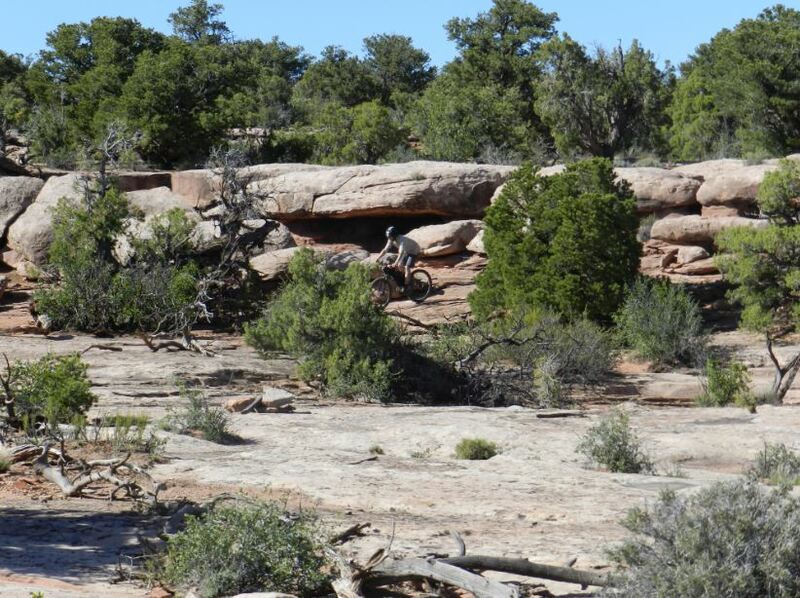 The riding here is often on slick rock instead of dirt and sand. 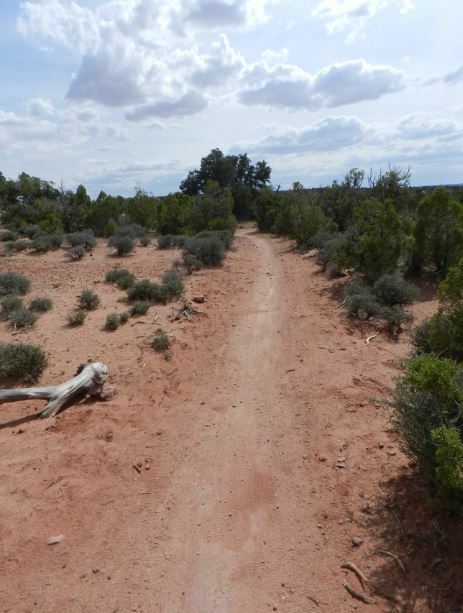 The westernmost 1/3 mile of the trail serves as a cutoff that divides Whiptail in two, allowing for differing loop options. Use caution, however, as the cutoff is one of the most difficult sections of track in the park. Depending on the direction one chooses from the start of the Intrepid system, Prickly Pair is either the first or last trail that will be encountered. 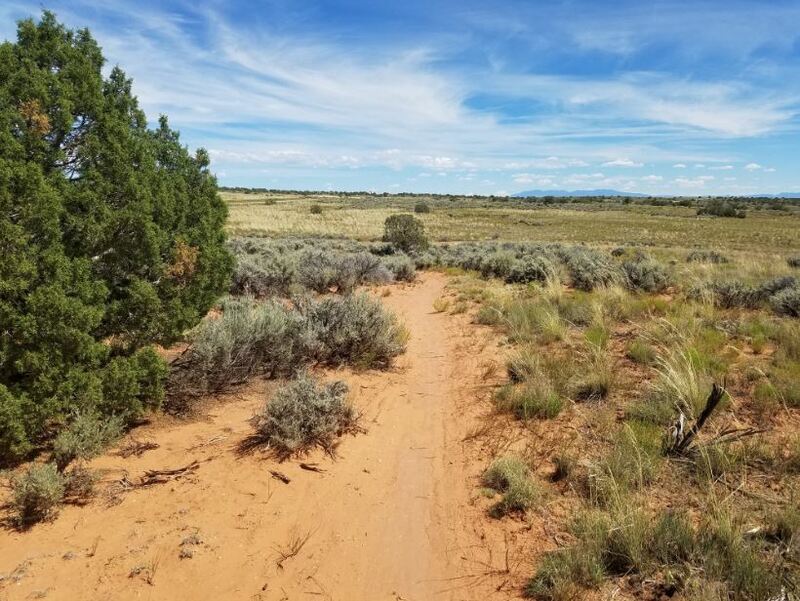 The trail can actually serve as a short, mildly technical loop of its own, using both the “Prickly” and “Pair” segments. 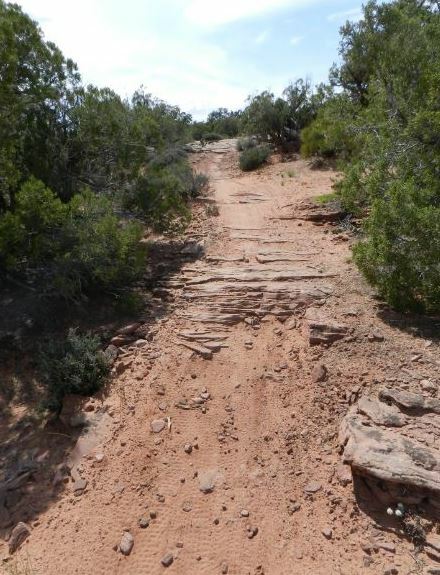 “Prickly” is the more difficult of the two options, consisting of a lot of slick rock and varying elevation. 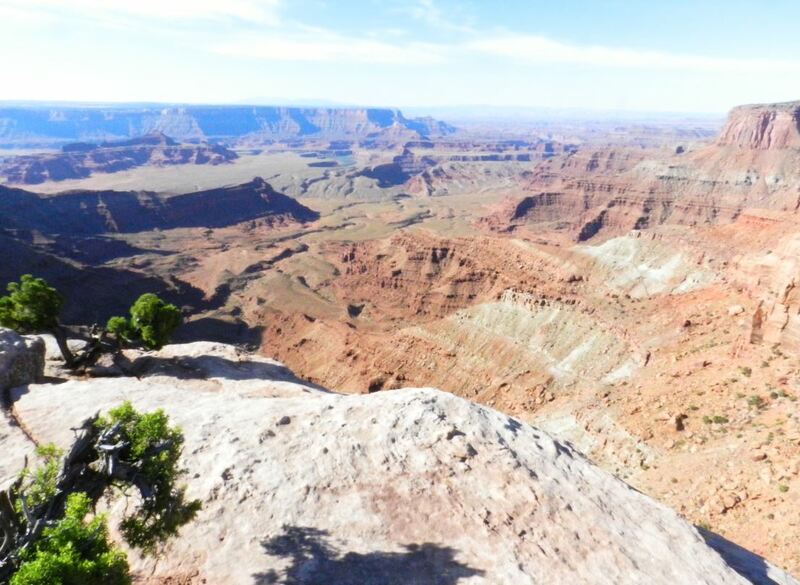 It is also the more scenic option, granting the occasional glimpse of Shafer Canyon to the west. Riding in either direction is sure to be a fun test of your skills. 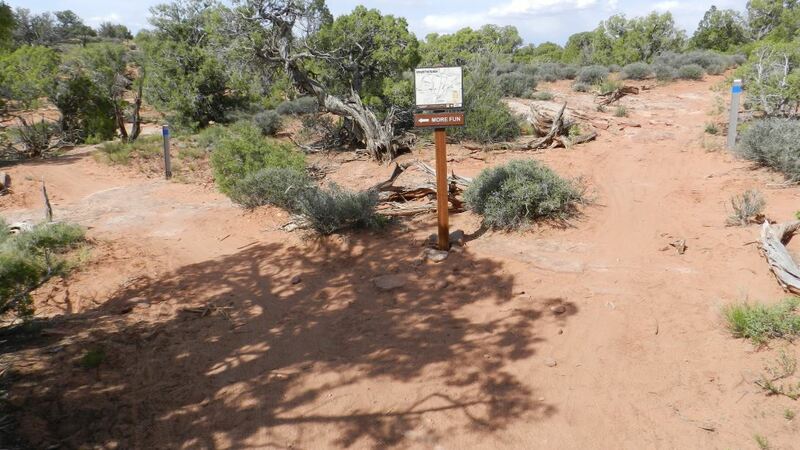 “Pair” is a more moderate alternative, and also a quicker way to pass through this section of trail. Light sand and slick rock sections will still pose an enjoyable challenge. 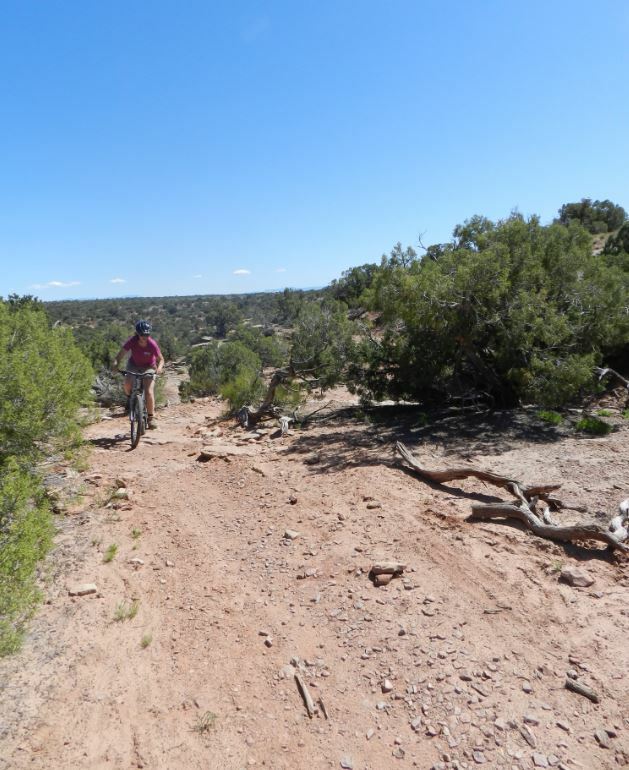 Crossing over a small ridge also means that riders will experience both uphill and downhill sections while traveling in either direction. Please note that riders must dismount when crossing the park entrance road.